Tiling is when you take all your windows and resize them to fill the screen. This can be achived with SizeUp and AppleScript. Review SizeUp, AppleScript and FastScripts for background on how to setup FastScripts. 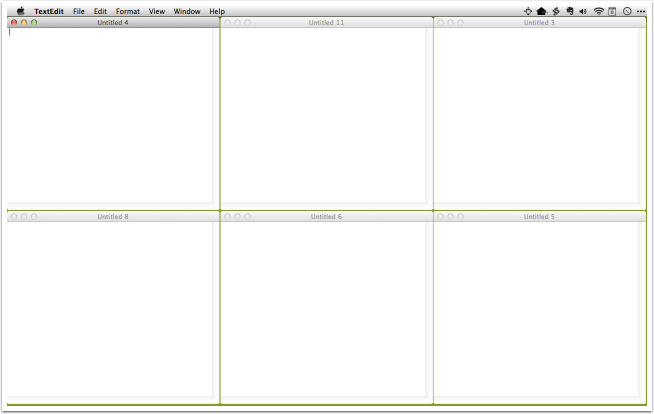 There are two scripts, one for tiling all windows on screen and one for tiling only windows of the frontmost app. Note: These scripts only tile up to 8 windows, but can be modified to handle as many as you need. 3) Move the downloaded AppleScripts into the Scripts folder. 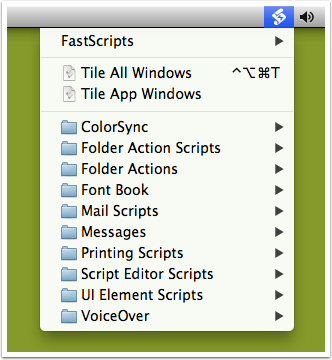 You can access the SizeUp Tile scripts via the FastScripts menu bar item, or you can bind shortcuts to individual scripts in the FastScripts preferences.